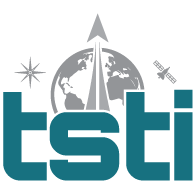 Model-Based Systems Engineering Design and Analysis | TSTI | Teaching Science and Technology, Inc. This 3-day course takes a step-wise approach to addressing the “why?”, “what?”, and “how?” of model-based systems engineering (MBSE). The course begins by laying the foundation with a broad overview of the processes, practices, tools and techniques that comprise the emerging discipline of MBSE, with a focus on application for the user, practitioner, as well as model developer. The course reviews the systems engineering framework and protocols that establish the context for MBSE practice. We then examine the evolution of MBSE from paper to software and briefly review the concept and usages of modeling languages (UML, SysML, LML, etc.) and tools. The course focuses on the key value propositions MBSE offers—Capturing, Connecting, Controlling, Communicating, Collaborating and Cycling—with specific examples, lessons learned from applications in NASA and commercial projects. Application of MBSE to develop and deliver artifacts in support of all 17 processes that comprise the NASA Systems Engineering “Engine” across the program/project lifecycle are examined in detail. The course takes a “deep dive” into modeling languages to understand various approaches (i.e. SysML) to understand key elements of syntax and application. The course includes a series of hands-on exercise to explore MBSE tool use and application in a practical project context with emphasis on working with various models (importing, exporting, reusing), as well as applications and benefits of model simulations. The course is aimed at those totally new to MBSE who want a jump-start into design, development and application of MBSE in the program/project context. While the course uses a specific tool for teaching, the goal of the course is to be “tool agnostic” such that the basic principles can be applied to any tools that a person or project may use. Detailed course objectives are shown in the following table. Define MBSE Define model-based systems engineering as a practice and discipline. Identify Tools Identify various MBSE tools in current use around the industry. Define Modeling Languages Define the purpose of modeling languages. Recognize SysML and other Diagrams Recognize and name SysML as well as other commonly used systems engineering diagrams and artifacts. 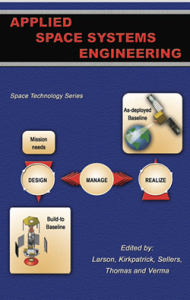 Explain SE Framework Explain the systems engineering framework that comprises the NASA Systems Engineering “engine” and how we use it to develop technical baselines throughout the lifecycle. Discuss MBSE Applications Discuss and give examples for the application of MBSE across the lifecycle, from goals, objectives and ConOps through verification planning. Explain SysML Diagrams and Their Usage Explain the uses for each SysML diagrams, as well as diagrams used by other languages and modeling approaches (i.e. LML, DoDAF, IDEF). Compare Modeling Languages Compare and contrast the different modeling languages and explain their application. Generalize MBSE Tools Generalize the organization (schema) used by MBSE tools. Contrast Tools List MBSE tools, contrast them with model-based engineering tools, and explain how they can be used to capture, connect, communicate, collaborate, control and cycle the systems engineering effort. Discuss the Value of MBSE Discuss the value proposition for MBSE within the project context. Summarize Examples Summarize specific examples, usage extent and lessons learned from MBSE application to various programs. Demonstrate SysML Syntax Demonstrate and understanding of basic SysML syntax. Simulate System Behavior Simulate system behavior given a fully populated model. Use an MBSE Tool Use an MBSE tool to build simple system model elements given existing system descriptions and artifacts. Produce Documents and Artifacts Given a fully-populated system model, produce typical project documents and artifacts. Demonstrate Model Management Demonstrate how multiple models can be managed as part of lifecycle technical data requirements. Employ Model Reuse Employ an existing model for reuse on a new system or application. Practice Model Import/Export Practice importing and exporting data into/out of models in various formats. Infer Project Behavior and Issues Given and MBSE model and/or artifacts from model, infer details about the system’s behavior, as well as potential issues (i.e. gaps, overlaps, missing traceability, etc.). Point Out Omissions Point out omissions and other issues with a project by examining a full-populated system model and/or model-generated artifacts. Examine Cause and Effect Relationships Examine the effects on system design and behavior by tracing changes (causes) through a given system model and/or model-generated artifacts. Interpret SE Artifacts Interpret typical systems engineering artifacts (i.e. requirements documents, functional flow diagrams) to determine system architecture and other information. Integrate Models Combine multiple, diverse models into a single integrated model. Modify to Improve Modify a fully-populated system model to fix known problems or omissions. Develop Systems Engineering Artifacts Develop key systems engineering diagrams and other artifacts to communicate requirements validation, system context, functional behavior, physical architecture, interfaces, risks and other information. Construct a System Model For a given simple system that is already defined (requirements, functional architecture, physical architecture), develop a complete system model to include all basic SysML diagrams, as well as other typical artifacts (i.e. documents). Assess Project State and Recommend Changes Simulated model-based Design Review: Given a fully-populated system model, and/or model-generated artifacts representing baseline entrance criteria (i.e. MCR), assess the state of the project against baseline success criteria and recommend acceptance or changes. Hands-on with Innoslate cloud-based tool (free trial license). Internet access required. This course is intended for practicing systems engineers, payload principle investigators, subsystem engineers or project managers involved in any phase of the space mission life cycle who are curious about application of MBSE to their projects and are seeking a basic foundation in the subject, as well as an appreciation for practical application in their own programs/projects. Some basic understanding of systems engineering principles and processes is assumed.